If you are passionate about the smooth flavors of whisky, this is the magazine that will bring you the most powerful flavors of whisky from all over the world. Buy a single copy or subscription to Whisky magazine. 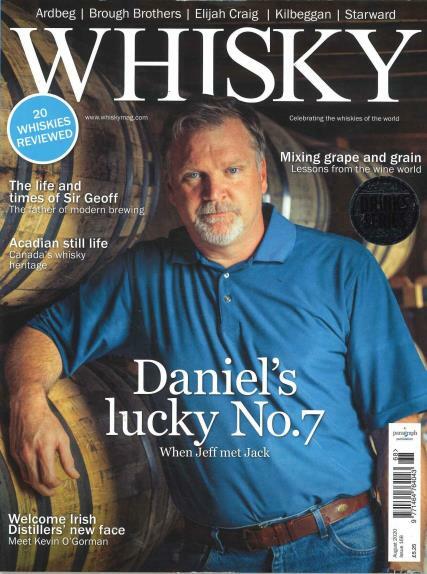 Whisky magazine is the best and the leading editorial to include everything related to whisky. The magazine is so devoted to whisky that it is also considered as to be the bible of whisky. Every issue will essentially have a mesmerizing tour to explore the process of making the world’s finest whisky. The icons of whisky share their experience and knowledge in the Whisky magazine to make you learn more about whisky. Inside the pages of the Whisky magazine you can also find the tasting results of various brands of whisky from all over the world to suggest you the most delightful flavors to be tried for ultimate experience.